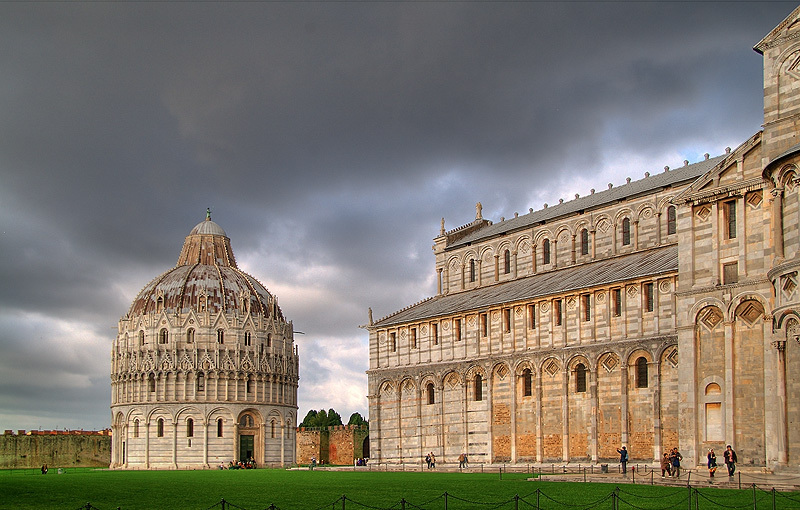 In Christian architecture the baptistery is the separate centrally-planned structure surrounding the baptismal font. In the early Christian Church, the catechumens were instructed and the sacrament of baptism was administered in the baptistery. Catechumens were limited as to their attendance in formal services. As unbaptized, they could not actively take part in any service in the church. One practice permitted them to remain in the first part of the mass, but even in the earliest centuries dismissed them before the Eucharist. Others had them entering through a side door, or observing from the side, from a gallery; while it was not unknown to bar them from all services until baptized.